Buying a home is a major commitment. To ensure that you are a responsible applicant, most mortgage lenders suggest getting a pre-approval before starting the home hunting process. Before pre-approval can be granted, lenders will look at your financial history, including your credit score and amount of debt you owe. They will also look at your present finances, such as your income, how long you have had your current job, and how much money you have in savings. 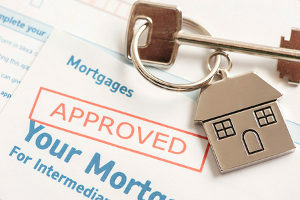 If you are ready to become a homeowner, learn how to get pre-approved for a mortgage. The first thing a mortgage broker or lender will look at is your credit report. Your credit report will contain all of your credit activity including your loan paying history and status of your current credit accounts. Carefully review your credit report and credit score to get an idea of what types of loans you may qualify for. If you see any errors on the report, get them resolved before talking to a mortgage broker. Before you can begin the preapproval process, your mortgage broker will need to look at your finances. You will need to show proof income in the form of W2s or pay stubs. If you are self-employed, you may need to show your year-to-date profit and loss statement. A mortgage broker may also ask for your last two years of tax returns. Have these documents readily available to streamline the mortgage approval process. Aside from your income, assets can increase your odds of receiving a mortgage pre-approval. However, you will need to provide proof of these assets. If you have money in the bank, provide your mortgage broker with bank account statements. You can also show proof of any investments that you have made. If you receive money from a family member, you may also bring documentation to show that it is a gift and not a loan. 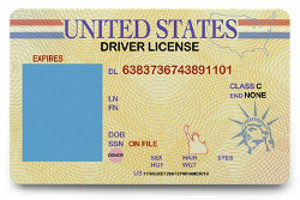 Before a mortgage broker can get the ball rolling, he or she will ask for multiple forms of government identification. This will typically include a picture ID, such as a driver’s license or U.S. passport, as well as your social security number which will be used to run a credit check. The mortgage broker may also ask for other personal documents if it affects the mortgage, such as a copy of your divorce papers. While past financial mistakes will likely be evident on your credit report, your mortgage broker will likely want some more information. Major financial issues such as bankruptcies may not necessarily prevent you from getting a pre-approval for a mortgage, they certainly can deter your efforts. If possible, provide a written explanation of why you declared bankruptcy and what measures you have taken to remedy the situation. Your mortgage broker will want to ensure that you are not a financial risk. 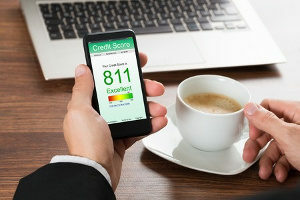 In the months leading up to your appointment with a mortgage broker, try to maintain a good credit score. Avoid applying for new credit and do not take on any new debt or make large purchases using credit. If you have existing credit accounts, consider cancelling them or ask your creditor to lower your limits. If possible, have all of your credit cards completely paid off before applying for a mortgage pre-approval. Remember that if you apply for a mortgage loan with excellent credit and your credit score drops during the mortgage process, you may no longer qualify for the loan. From this point forward, it is a waiting game. Pre-approval for a mortgage takes an average of two to four weeks. In some cases, it can be quicker. An automated underwriter can sometimes complete in as little as a day. During this waiting period, you can attempt to get pre-approval from multiple institutions if you wish. As long as you apply within 45 days, there should only be a single inquiry on your credit report from all of the lenders. When you are finally ready to become a homeowner, you may be eager to hurry the process along. However, both your real estate agent and the home sellers will want to see a pre-approval. If you want to see if you qualify for pre-approval for a mortgage, call Fairfax Mortgage Investments by phone or fill out an application form online.